The health benefits of green tea are well documented, and frequently extolled by health experts and scientific research alike. The positive effects are down to the catechins contained within the tea leaves – an antioxidant whose health benefits have been under close scrutiny since the 1990s. They are credited by many as the reason why many ancient cultures link tea – and especially green tea – with good health and long life. Previous research has explored the relationship between tea and a variety of conditions including cardiovascular disease, cancer, weight management, diabetes, Alzheimer’s disease, and bone density. In many cases, green tea has been found to have a beneficial impact on those conditions – but no-one knows how long after being picked green tea continues to have such health benefits. Dr Azalldeen Kazal, with the help of a government grant, sought to investigate. 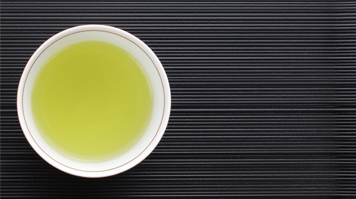 Is stored green tea as beneficial as freshly picked green tea? While much is known about the catechin content of tea leaves when they are picked, there has been no previous research into how the catechin content can change over time. In short, no-one knows whether green tea bags that have been in storage for a number of months can claim to have the same health benefits as freshly picked green tea. Dr Kazal's PhD research saw green tea bags stored for up to 15 months. His long-term storage study is unique because four storage temperatures were used for the first time, and the storage time was extended to 450 days. “Given the current interest from both researchers and consumers in the possible nutritional and health properties of green tea catechins, it’s important to evaluate the storage behavior of green teas that have been stored for an extended period,” says Dr Kazal. Dr Kazal’s research found that storage time and temperature had negative effects on individual catechins, as well as the antioxidant capacities of green tea – and that temperature had a greater negative effect than storage time. The research could be beneficial both for educating consumers – who until now had no way of knowing that old green tea bags were much less effective as antioxidants than newer ones – and for regulating the green tea industry in terms of the health claims it can make and the storage advice it gives.